In an earlier post I mentioned a television programme that placed celebrities in Kibera in Kenya. On the internet the programme has been criticised for portraying such a negative picture on the slums and some even use it as a way to criticise slum tourism in general. One of my colleagues recently pointed towards one of the main problems of the programme, namely that it portrays Kibera using a single story of poverty. She then pointed me to this excellent presentation of Chimamanda Adichie regarding the dangers of such a single narrative. The matters raised in the presentation are in my opinion very much related to the ethical debates surrounding slum tourism. 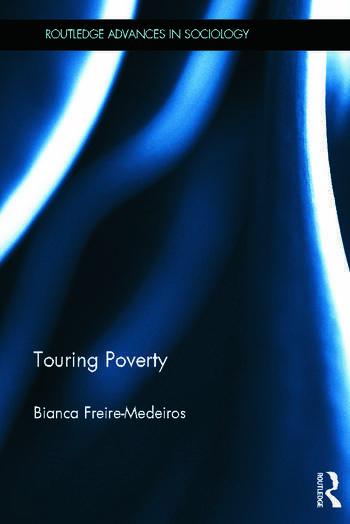 The presentation and emphasising of a single story of poverty in slums has been used to criticise tours where tourists visit slums or impoverished areas. This criticism is often justified, in particular with tours where there is little or no contact between tourists and local people. On the other hand slum tourism can also serve to counter negative preconceptions of impoverished urban areas. It can help in showing the great amount of cultural and economic activities as well as diversity of life in these places. As such it can assist in giving people the opportunity to tell “their story” rather than what is shown in the media or have their stories told by others who have only been in these areas themselves a limited number of times. Unfortunately, too many slum tours do not allow for respectful interaction with local people. Strict time schedules, itineraries and the language barrier make it difficult for tourists to have (meaningful) conversations with people other than the tour guide. Equally, tourists are sometimes more interested in getting “the picture” than listening or talking with others. This limits the experience both for the tourists as their hosts and means such slum tours tell a story of their own rather than that of the people they visit. “Within culture, the margins, albeit still peripheral”, writes Stuart Hall, “have never been a space more productive than they are today” (quoted in Schwertner 2007). Such productive space is not only an effect of the opening in the dominating spaces, but also “results from cultural policies on the different, from struggles around the different, from the production of new identities and from the appearance of new subjects in the political and cultural arena” (ibid.). Hall argues that, although the opening of new spaces for the different is extremely positive, it might be equally perverse if the “characters of margin” are seen as no more than “a flavor of the exotic”. It seems to me that such is precisely the dilemma of the touristic favela, not because it is a touristic attraction, but for it is still perceived as belonging on the margins of Brazilian culture. To understand how she reached this conclusion you can download the full paper (pdf 330 kb) from the London Debates Website. If you disagree with her or would like to discuss her findings, feel free to comment, if you have written a similar paper yourself and would like to publish it on slumtourism.net, please let us know!